In a recent notice, the National Institute for Occupational Safety and Health (NIOSH) updated its position on facial hair and respirator use. The notice supersedes its October 2, 2006, “Letter to all Manufacturers” titled NIOSH Policy for Respirator Sealing Surfaces and Facial Hair. 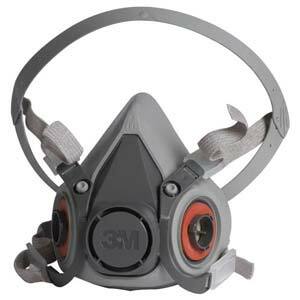 The notice applies to all primary seals of tight-fitting full- and half-facepiece respirators and to tight-fitting respirator designs that rely on a neck dam seal. According to NIOSH, facial hair that lies along the sealing area of the respirator, including beards, sideburns, moustaches, or stubble, should not be permitted on employees who are required to wear respirators that rely on tight facepiece fit. The notice states that facial hair growing in or protruding into the area of the primary sealing surfaces of the respirator will prevent a good seal, and that workers should not enter a contaminated work area when conditions prevent a good seal of the respirator facepiece to the face. J. J. Keller offers a variety of respiratory protection solutions to meet your employees’ personal protection needs.